If you are looking for information on the Kilwin's Chocolates and Ice Cream franchise business opportunity, Kilwins franchises or Kilwin's Chocolates franchising, then you have come to the right place. 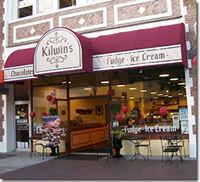 Kilwin's Chocolates and Ice Cream, founded in 1947, is simply the best confectionery you will ever enjoy! Kilwin's shoppes offer handmade chocolates, hand paddled fudge, our original recipe ice cream, waffle cones, caramel apples, caramel corn and brittles and much, much more! Kilwin's offers single store, multiple store, or will enter into an exclusive territorial or area development agreement. Kilwin's shoppes offer customers an impressive selection of fine confections and ice cream, all in a warm, enjoyable, service-oriented atmosphere. 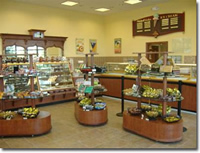 For franchisees, a Kilwin's shoppe offers quality products, proven business system backed by years of experience. Kilwin's also offers turn-key stores. We will take your store through the construction process and hand you the keys prior to opening. We support our franchise brand through Kilwin's University. Kilwin's U offers one week of classroom and retail store training at our headquarters in Petoskey, Michigan. Then, just prior to your opening date, our experienced trainers will be at your store helping you with your first inventory order, merchandising and preparation for your grand opening. Our stores are located in, quaint downtown areas, historical and tourist areas, upscale residential areas, and lifestyle centers. We look for locations that have a lot of pedestrian foot traffic. Kilwin's staff will assist you with site selection and will also offer assistance with lease negotiations. All of our quality products are delivered to your store by Kilwin's own trucks, a benefit unique to Kilwin's.